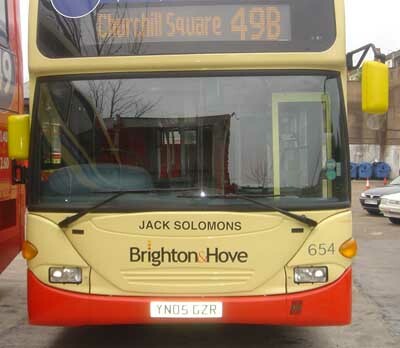 Connections with Brighton and Hove : Britain’s leading boxing promoter in the years after the Second World War, Jack Solomons staged 26 title fights and many hundreds of other bouts. Solomons specialised in bringing top USA fighters to Britain at a time when there was great interest in boxing. He started as a fish importer but moved to boxing in the Thirties as the manager of Eric Boone and owner of a London club. Then he started his own shows. His first big bout was a clash between Bruce Woodcock and Jack London for the British heavyweight title. Solomons brought American world light heavyweight champion Gus Lesnevich to England to face Freddie Mills in 1946. Five years later he reached his peak with the middleweight title tight in 1951 between Sugar Ray Robinson and Randy Turpin. 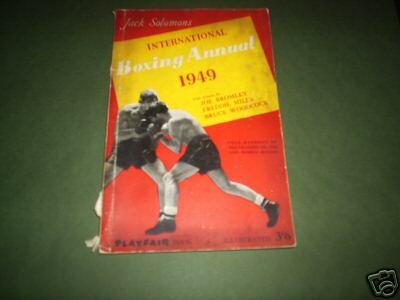 By this time he was so famous that the cover of the programme showed Solomons rather than the two world class fighters. His influence gradually declined after that through TV and competition from other promoters but he continued in business until his death in 1979. In 1963, he brought Cassius Clay, later Muhammad Ali, to London to fight Henry Cooper, a match always remembered for Clay being floored before getting up to win. Solomons lived for many years at Furze Croft in Hove and was an unmistakable figure with his trademark cigar. 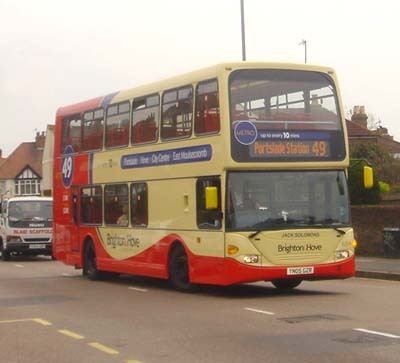 654 - Scania Omnidekka carried name since March 2005 on Metro 49. 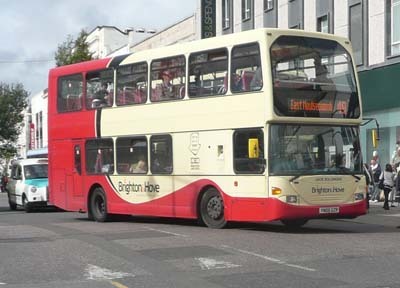 Metro 49 branding removed September 2012. 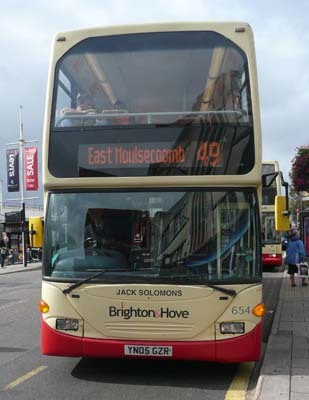 Bus sold in July 2017.